We read the room and set the tone, so you don't have to! Always pro, and happy to play your requests! 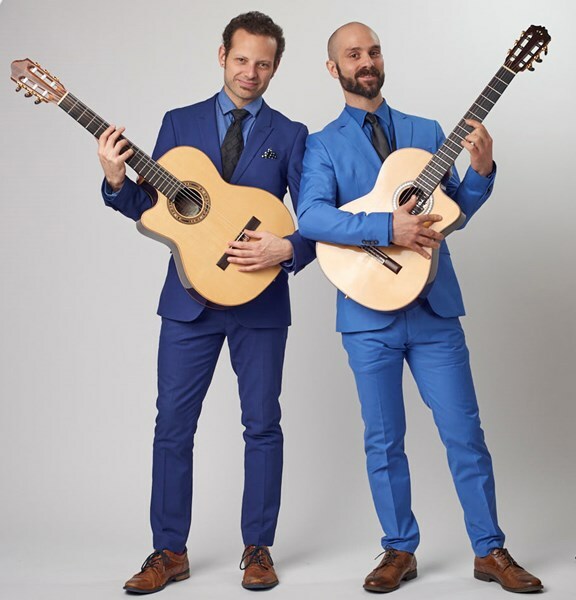 Featuring two of New York's most in-demand guitarists, The Atlas Guitar Duo performs a wide array of guitar music, spanning Spanish Guitar, Pop and Rock Standards and Jazz, to add a distinct, fun and elegant touch to your event. 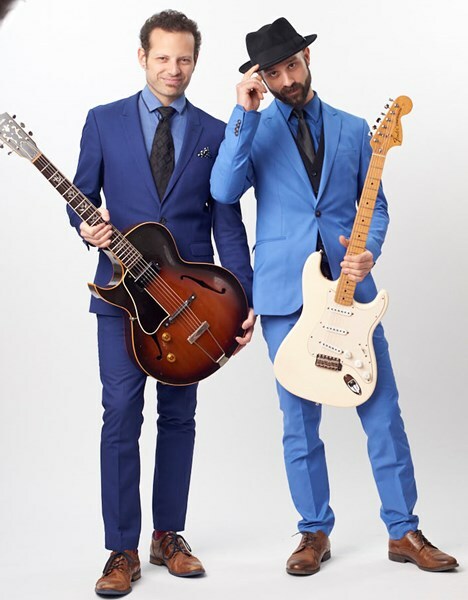 The members of Atlas Duo have performed at The U.N., Summer Stage, Art Basel Festival, Tavern on the Green, The Plaza Hotel, Gramercy Park Hotel, The French and Hungarian Consulates, The Blue Whale Room (Natural History Museum), the Jamaican Jazz and Blues Festival, and countless more acclaimed venues and high-profile affairs. 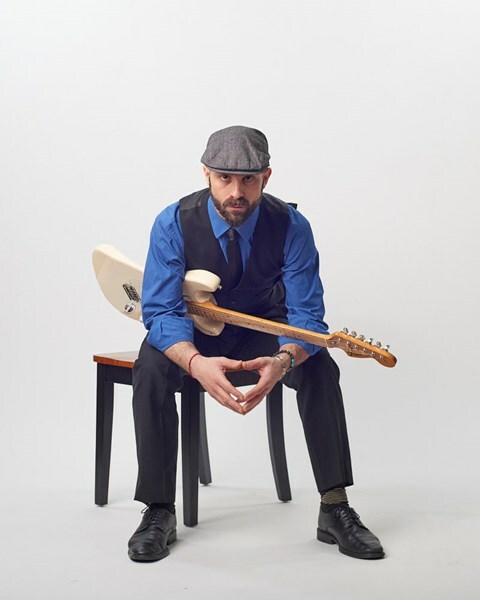 We perform on nylon, steel string, and electric guitars. Atlas Duo is Brandon Vetrano and Tenzin Hunter. Atlas Duo made my wife’s surprise party especially special. They were a joy to work with, knew a ton of songs from different genres and took requests in stride. Also, they played beautiful music (so much so that I asked where else I could see them). Great bang for the buck and their setup doesn’t take much room, which I imagine makes them pretty versatile. We got a ton of compliments from our guests on the music. They were a great way to do something slightly different with music and cool yet keep it a classy affair. Such a great experience. Really easy to work with in terms of booking, etc. Love their style and caliber of playing. All our guests commented on how wonderful they were and how much they liked their song choice. Highly recommended! Atlas Duo did a great job at our wedding! They're very professional - it's obvious that they've done a lot of weddings, which made them very easy to work with. Atlas Duo was responsive to our e-mails and questions. They have a large repertoire, so making specific song requests was really easy. Plus, they have great musicianship - they sounded even better in person than they did in their videos! These guys were responsive to all my emails, arrived on time, looked great, played the kind of music I requested. They were friendly and cheerful, and sounded GREAT! I couldn't have been happier and I will definitely book again the next time I need beautiful guitar music. Thanks!!!!! Please note Atlas Duo will also travel to Jamaica, Flushing, Far Rockaway, Arverne, Inwood, Long Island City, Cedarhurst, Lawrence, New York, Valley Stream, Woodmere, Atlantic Beach, Elmont, Floral Park, Hewlett, Glen Oaks, Lynbrook, Malverne, Bronx, East Rockaway, Franklin Square, Hoboken, Jersey City, New Hyde Park, Garden City, Great Neck, Island Park, Long Beach, Oceanside, Paramus.